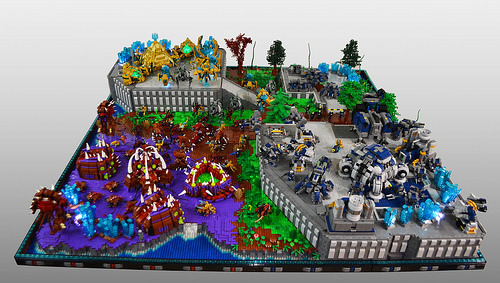 The classic real-time strategy game Starcraft II has inspired many LEGO creations over the years, but one of the most impressive has to be this stunning version of the multiplayer map Megaton. Built by David Frank, the map features the home bases for all three factions and measures over 16 square feet. Additionally, David has wired it with lights, giving features like the Khaydarin crystals a realistic glow. 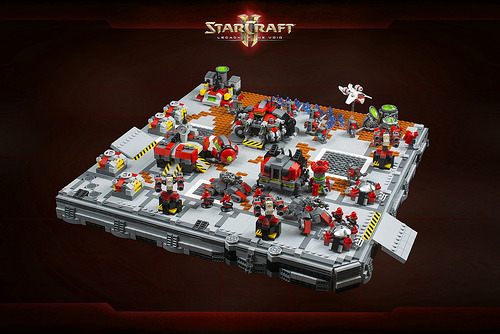 As I am not a StarCraft player, I had to look up a Protoss Carrier as it appears in game to judge the accuracy of Tim Schwalfenberg’s LEGO scale replica. 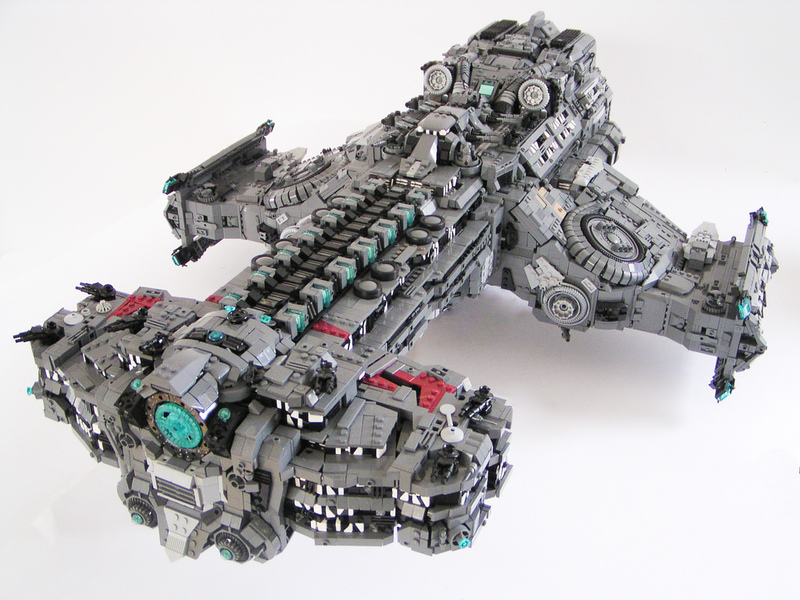 I’m looking at this carrier, and I’m thinking, “There’s no way this could be built with LEGO.” But it was built, and built beautifully. 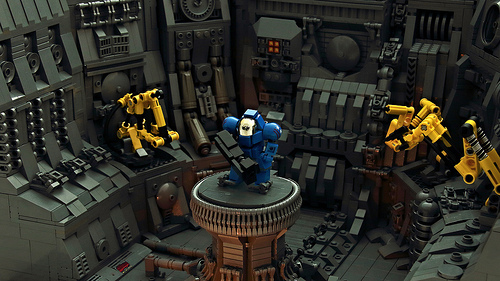 Brilliant use of brick bending techniques brings the alien curves to life. 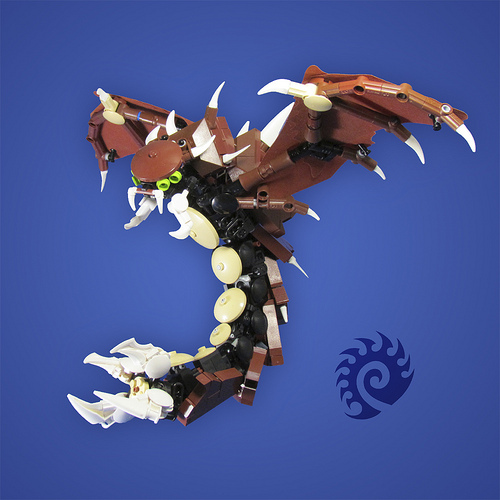 Tim adds that his Protoss Carrier was built to 100 LEGO studs in length (just over 31 inches) in only six days, making his build that much more impressive. We don’t want any of our readers to be distracted from completing the final Protoss chapter of StarCraft II, which was released last month. But as long as you’re here, have a look at this massive build by Tim Schwalfenberg, which was inspired by the StarCraft 2 trailer from 2009. It’s one of those dioramas that makes you stop scrolling the photostream and devote your whole lunch break to examining all the smart design features. 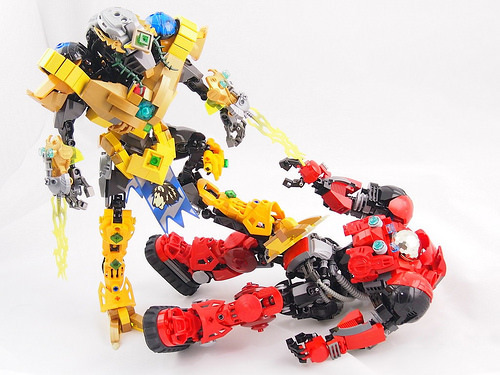 The way Tim used regular yellow pieces to accentuate the robot arms deserves special attention. And check out this close-up of the marine as well. 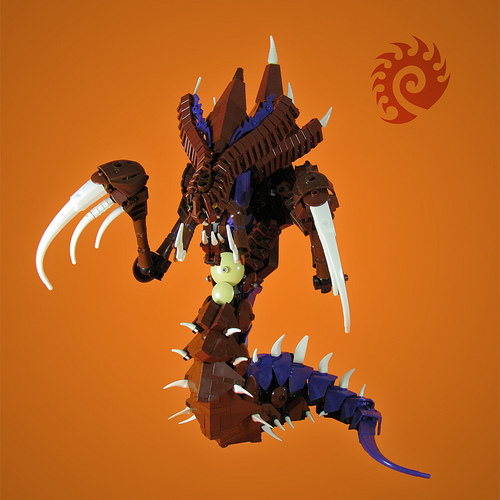 The original Starcraft game came out almost 15 years ago and has spawned a decade and a half of Starcraft inspired LEGO builds, from the humble probe, to the hydralisk troops to even the imposing Battle Cruisers. 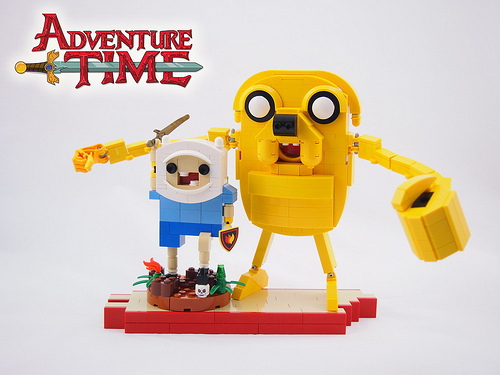 I feel mathematical when I look at this model of Finn and Jake from Adventure Time. 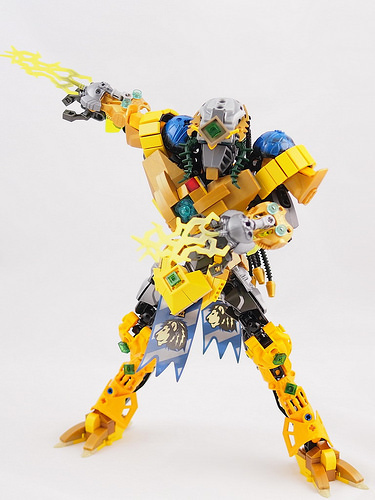 The responsible party is ccy_8086, whose work has not been featured nearly enough on TBB. With that in mind, enjoy another masterpiece by ccy_8086, the CMC015 power battle suit from Starcraft 2. Mark Stafford (lego_nabii) has just posted a photo of an awesome model, built by one of his fellow designers at LEGO, Luis Castenada. 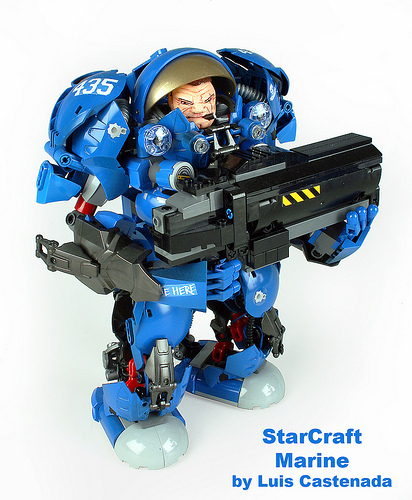 Luis built an awesome custom Marine from StarCraft. 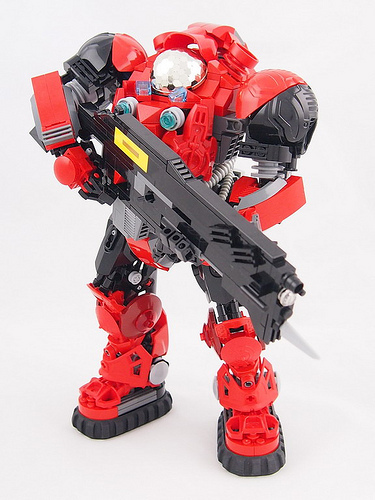 Obviously, the head is not an authentic Lego piece, and a few parts have been painted, but that doesn’t stop this from being amazing. 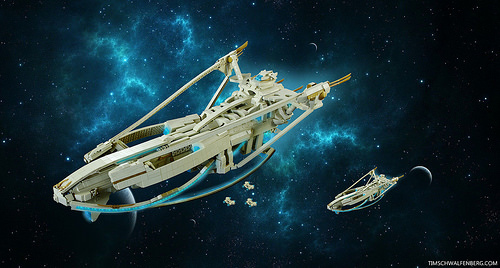 Here’s hoping that LEGO will wrest the license away from Mega, and release some sets like this. Ever since the mutalisk buff, in Starcraft 2 Heart of the Swarm, this Zerg flyer has been massively popular in games. It looks like Mike Nieves (retinence) got the message and made his own to join his Zerg swarm. You can see more photos on Imgur. 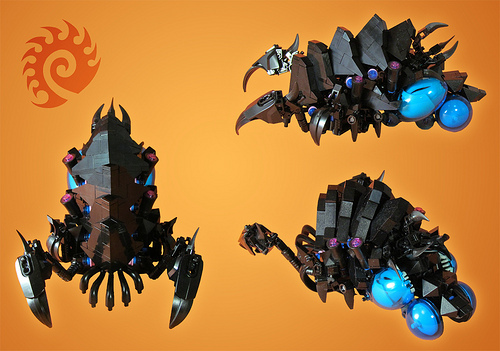 Mike Nieves built an infestor from StarCraft II in his trademark style, which I thought was perfect for depicting this Zerg creature. 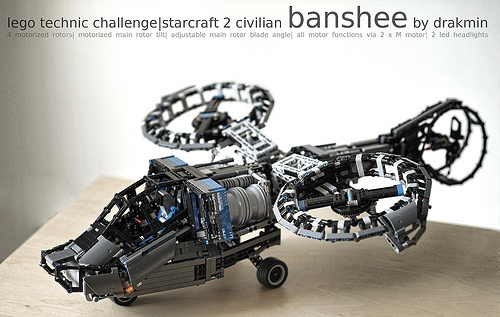 This banshee, by Antti Havala, is incredibly gorgeous and that isn’t something you can say about a lot of Technic builds. Sporting four rotors, two motors, adjustable rotor pitch and two LED headlights, this Banshee screams for attention. You have to watch the video too. It’s pretty sweet. Many thanks to Glory_Forever for the heads up!